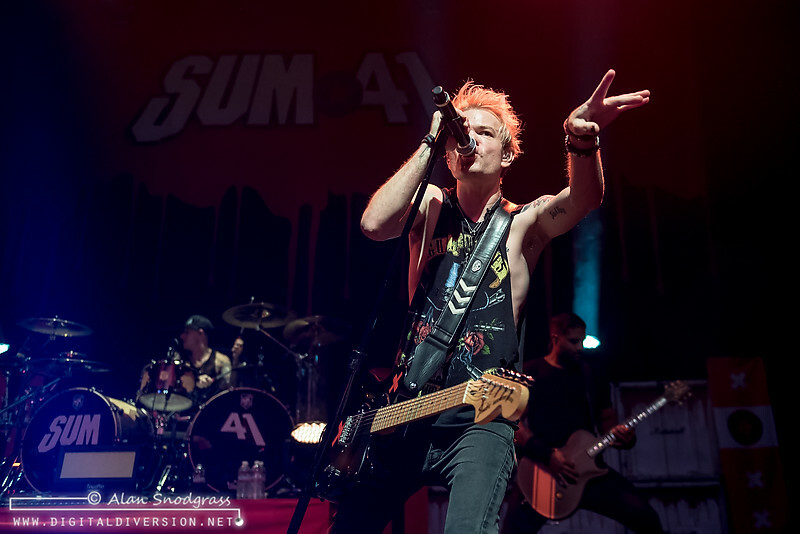 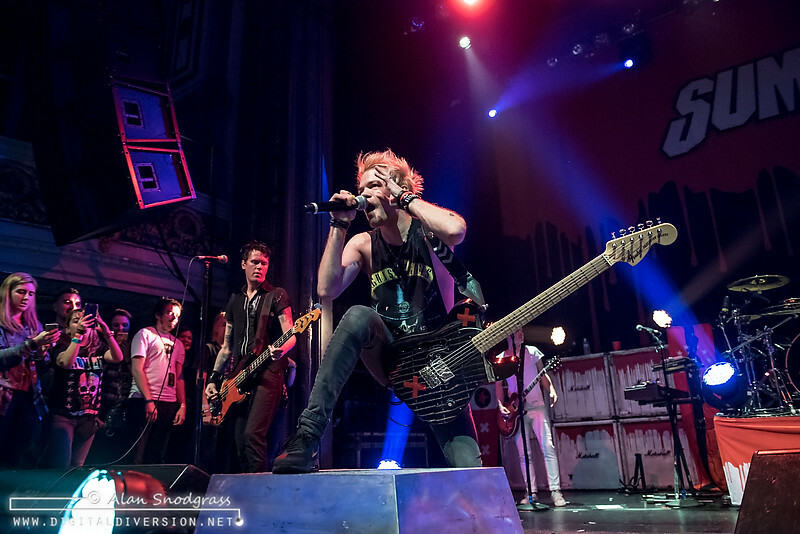 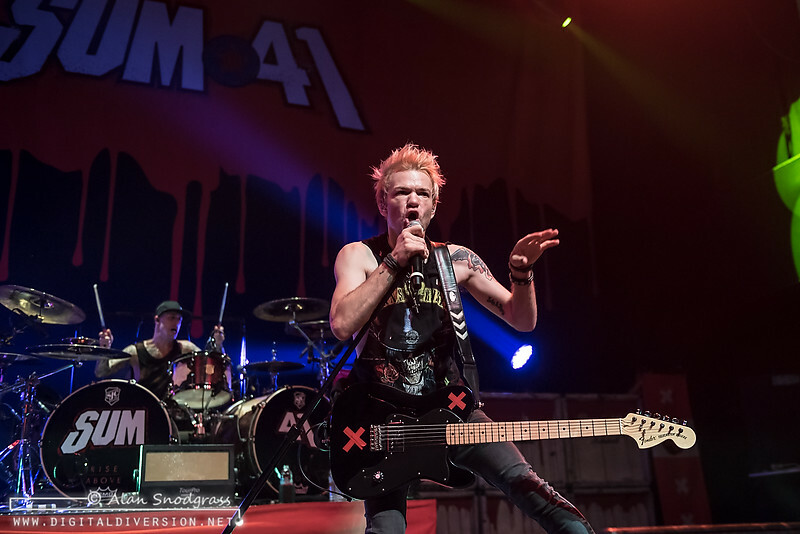 Sum 41 is back with a new record (13 Voices) and their first tour across America in 4 years. 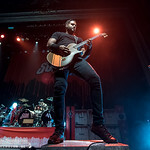 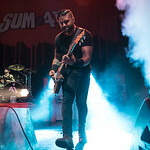 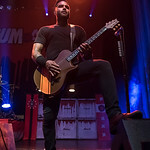 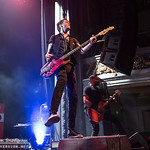 Made even more special by the return of original guitarist Dave “Brownsound” Baksh for his first outing with the band in 12 years, the “Don’t Call It a Sum-Back” Tour landed at San Francisco’s Regency Ballroom for a Tuesday night headliner that would no doubt leave a mark. 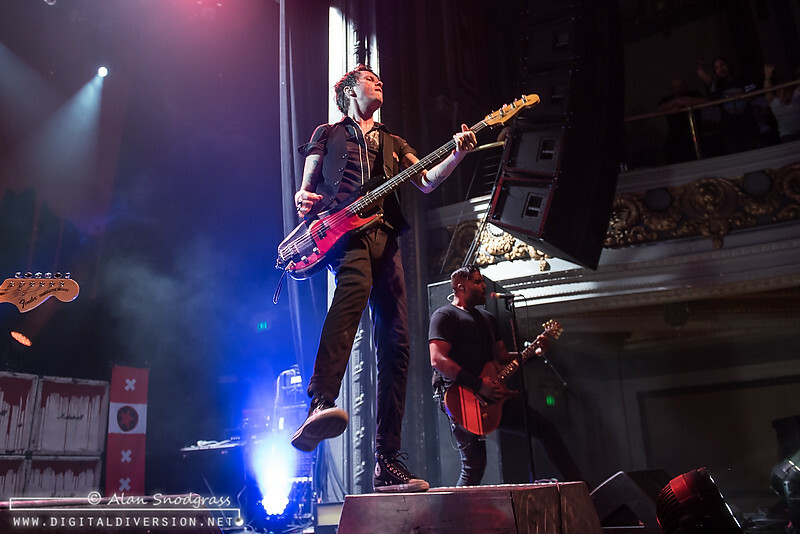 The evening kicked off with openers As It Is who clearly had some fans in the crowd as evidenced by the squeals when they took the stage. 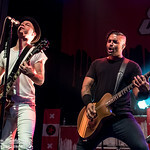 For those that weren’t familiar with the band, their set was no doubt memorable if for no other reason than the fact that vocalist Patty Walters’ microphone was sent rocketing into the balcony during the second song of their set when the cable broke in the midst of a Daltry-esque mic spin. 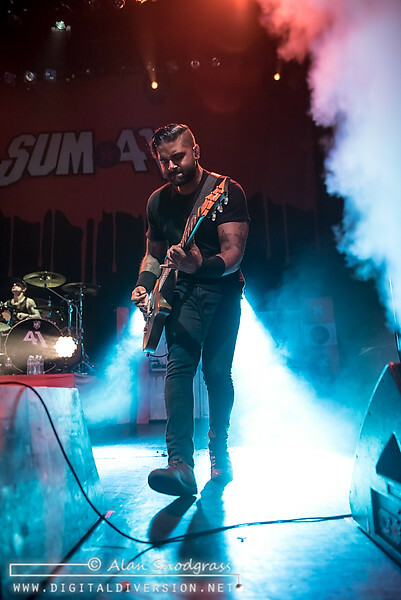 Up next, Senses Fail. 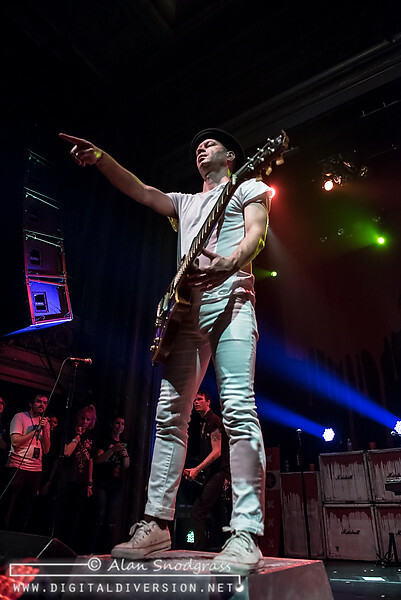 The word is out on this band and their high-energy performances, delivered in no small part by energetic frontman Buddy Neilsen’s antics. 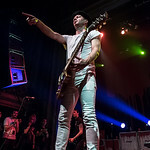 The room was nearing capacity and primed for some action by the time the band took the stage at 8:15. 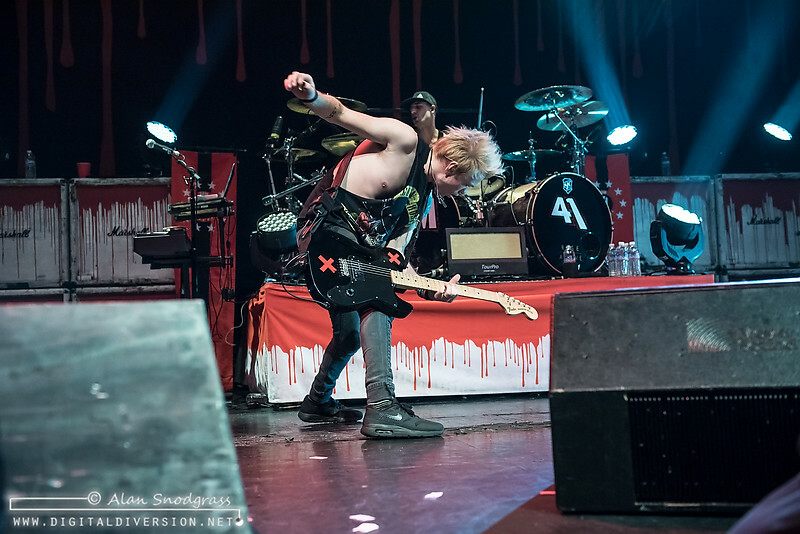 Jazz hands, jump splits, cartwheels, break dance spins, “Flash Dance” moves and the occasional random blast from an air horn kept the crowd on its toes as Buddy went full-maniac all over the stage. 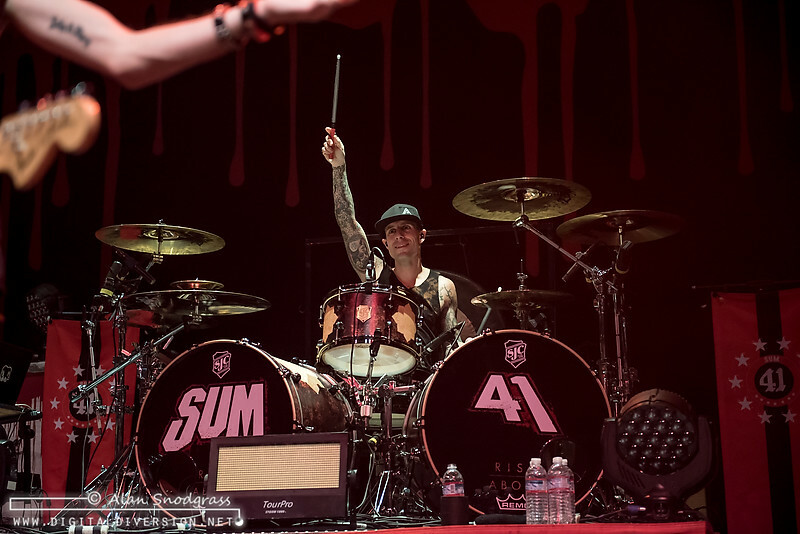 The rest of the band, clearly hip to the routine, knew enough to give Buddy plenty of space for his hijinks. 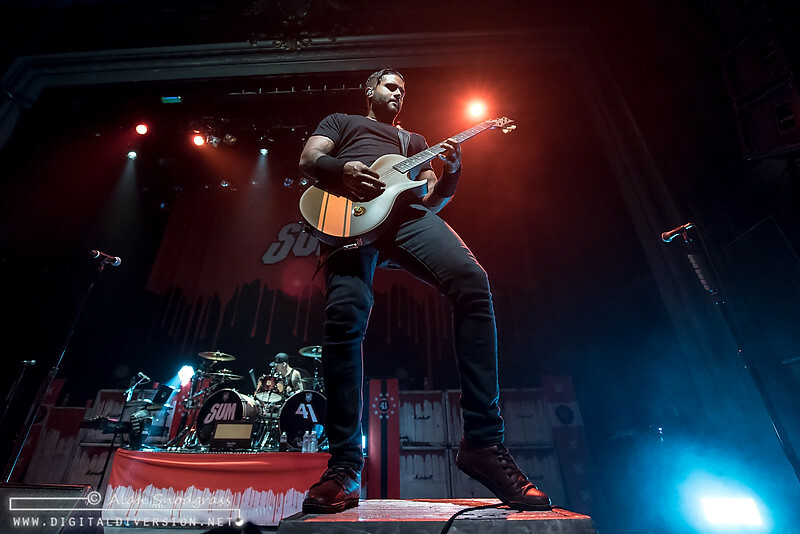 By the time Senses Fail wrapped, the Regency Ballroom was packed front-to-back, side-to-side and top-to-bottom in anticipation for the headliners. 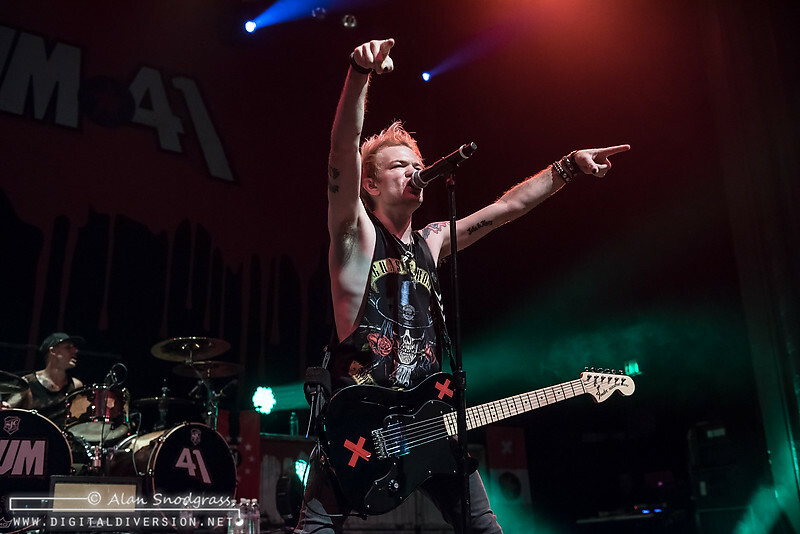 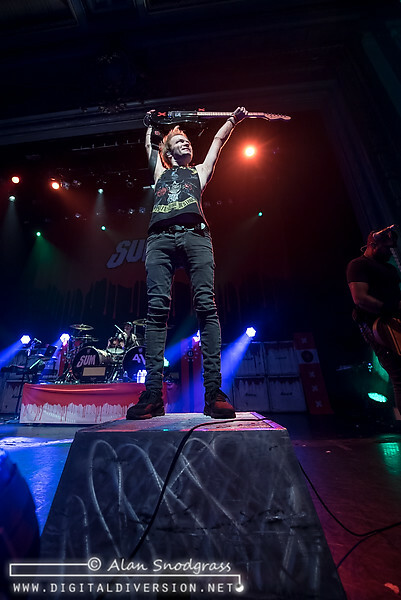 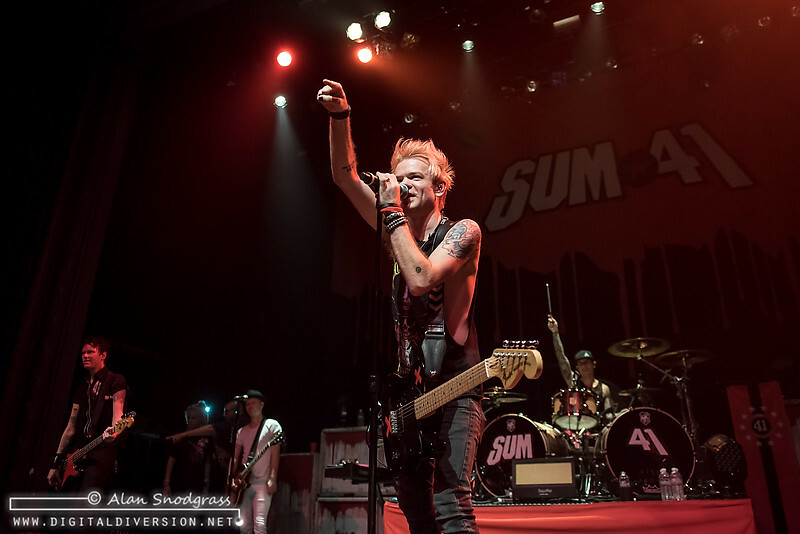 When the lights finally dimmed and the intro music played, it was game on as Sum 41 launched into fan favorite The Hell Song. 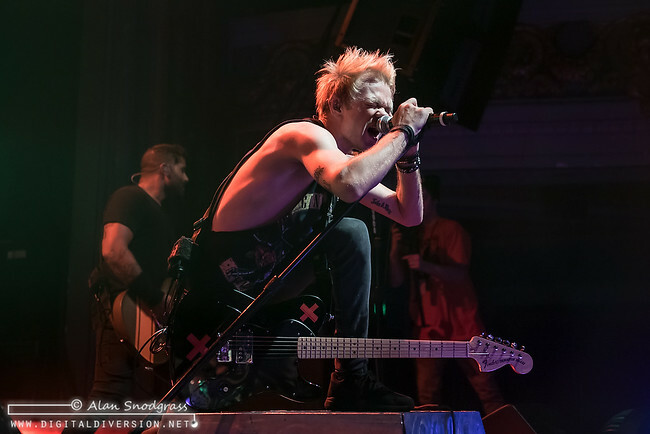 The entire room sang along at the top of its lungs as the general admission floor churned and the crowd surfers started spilling over the barricade. 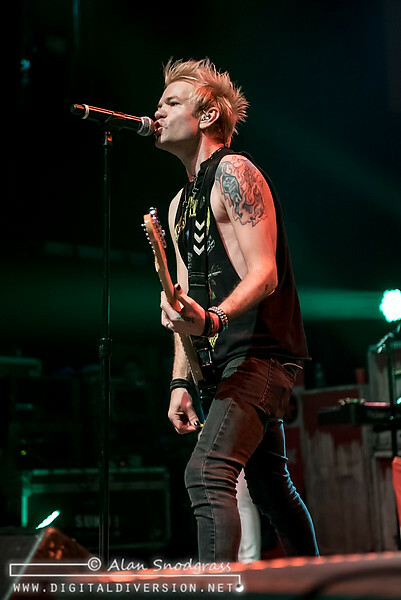 Frontman Deryck Whibley, looking 100% after his extended time in the hospital and recovery, was clearly in good spirits and rearing to go. 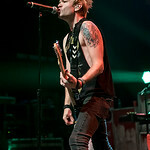 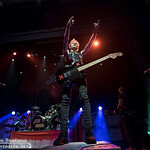 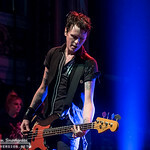 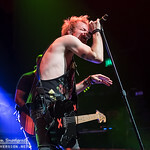 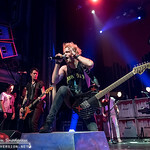 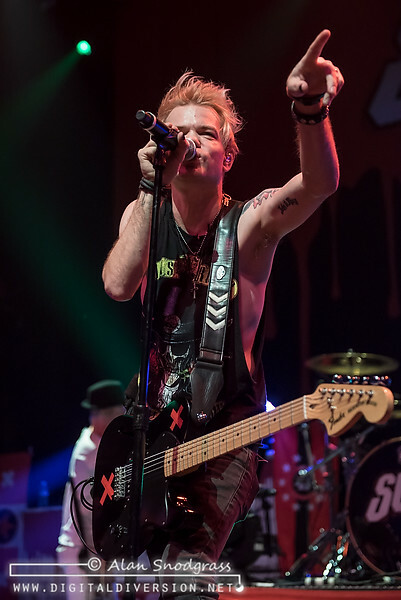 Early on Whibley paused between songs to pull a young lady out of the front row to watch the show from the stage but otherwise hardly stopped to gather his breath during the 90 minute set. 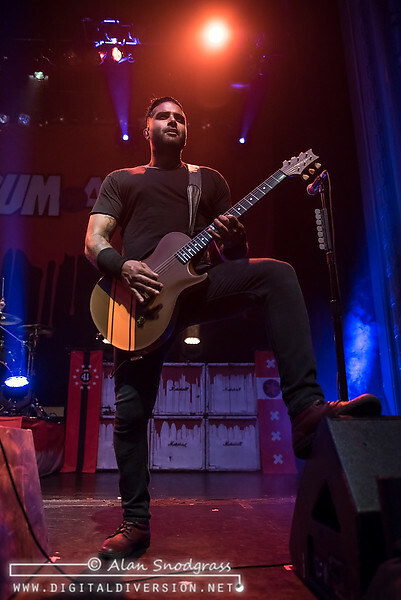 The career-spanning setlist hit the high points while drawing heavily from 13 Voices with tunes such as Fake My Own Death, War and There Will Be Blood all sliding right in with the rest of the catalog. 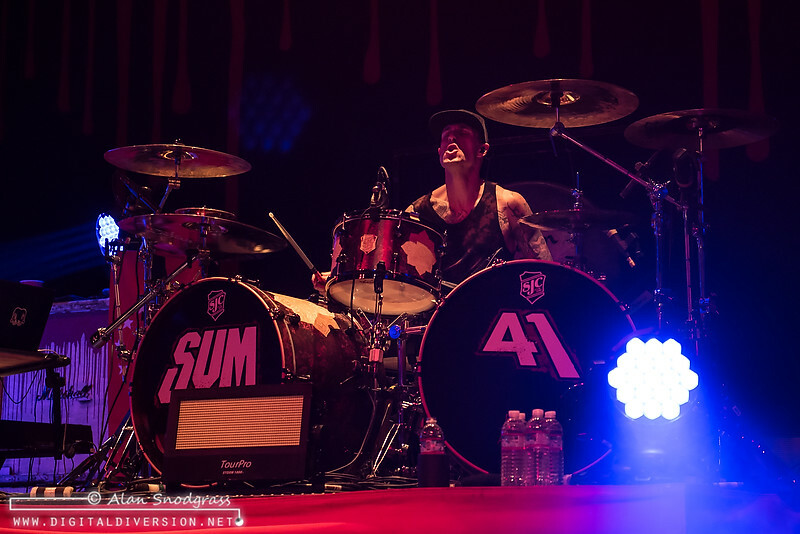 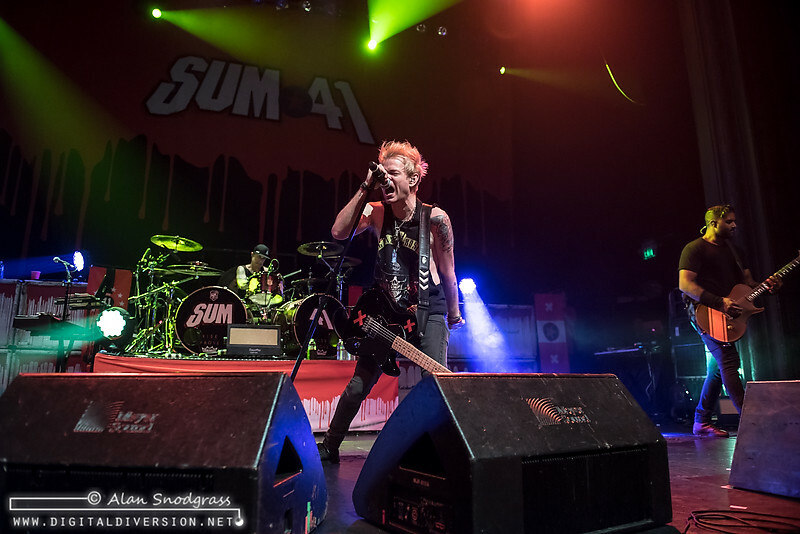 Fans that likely first got into Sum 41 during their teenage years appeared to be lapping up the new material with the old as the floor became frothy mess of sweat and spilled beer. 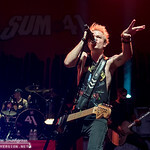 Humidity levels were at a peak in the ballroom when the cannons finally blasted confetti over the moist and sated crowd. 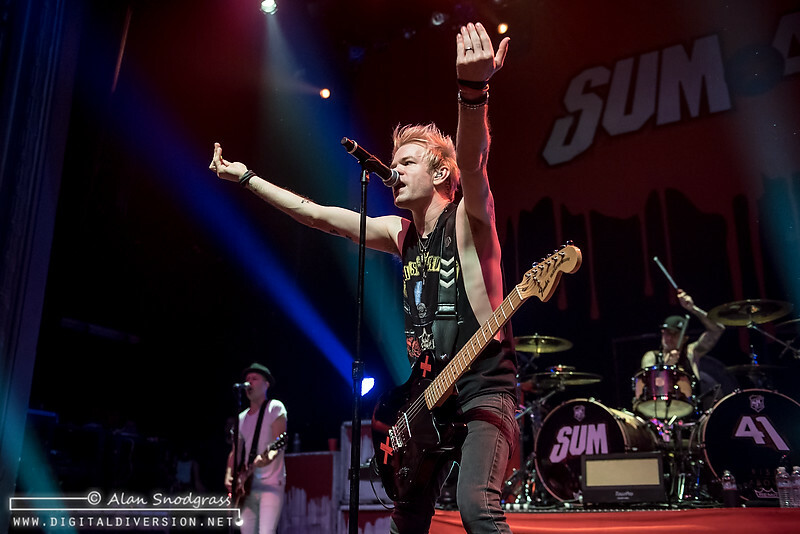 It’s rare to see a band come back from the brink better than ever but that’s exactly what Sum 41 has done. 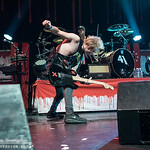 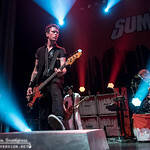 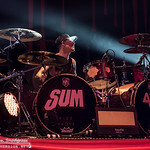 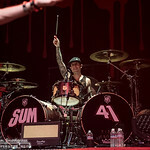 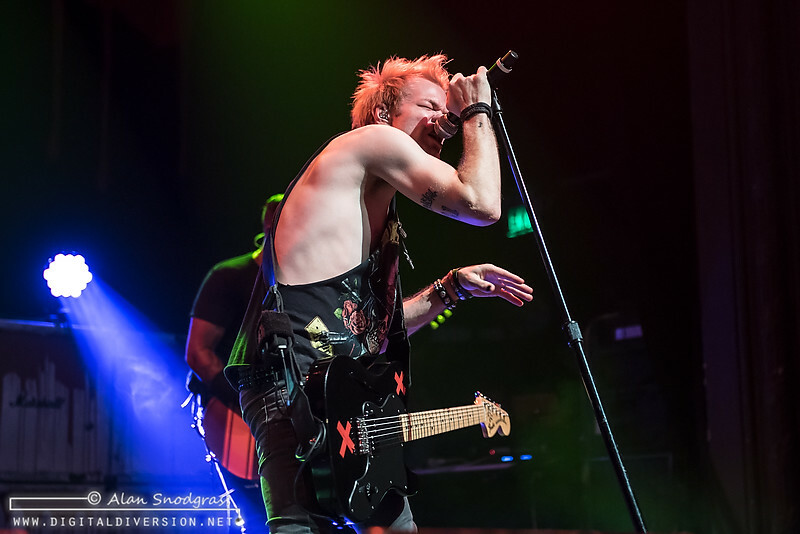 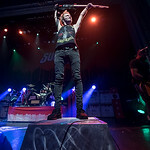 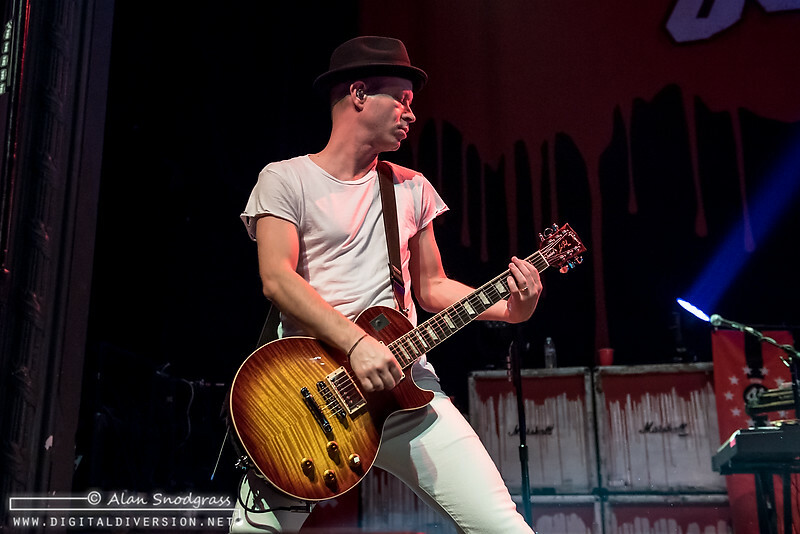 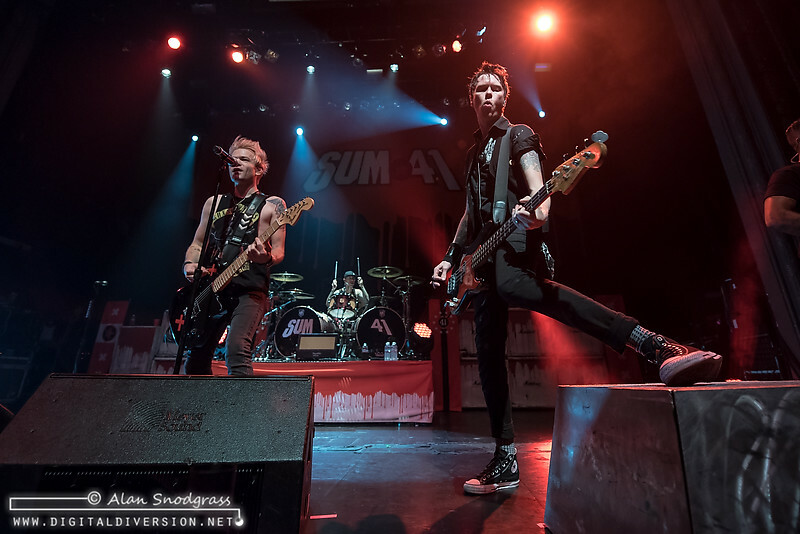 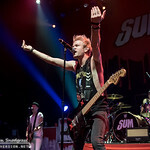 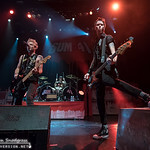 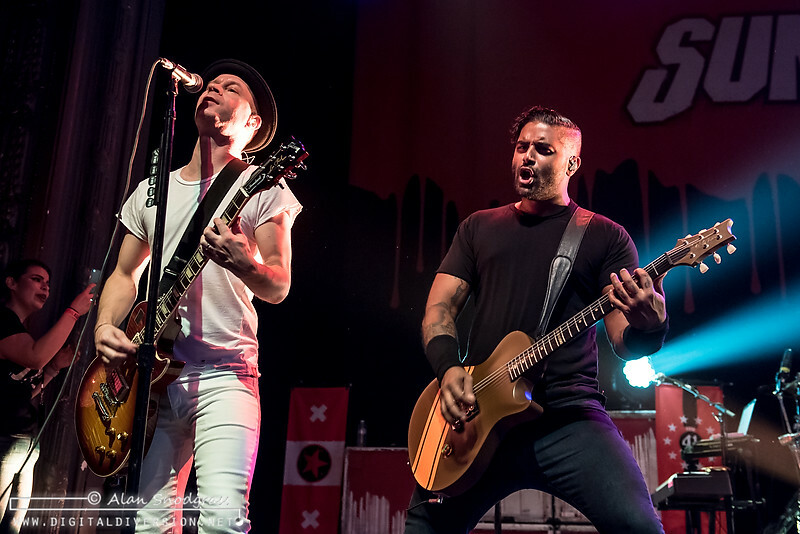 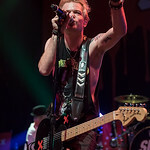 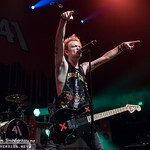 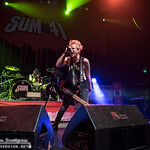 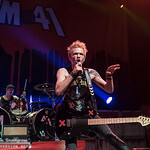 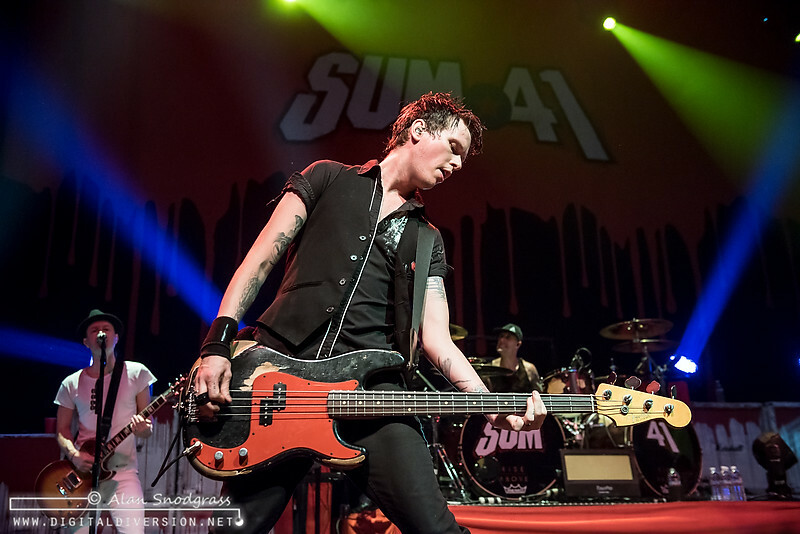 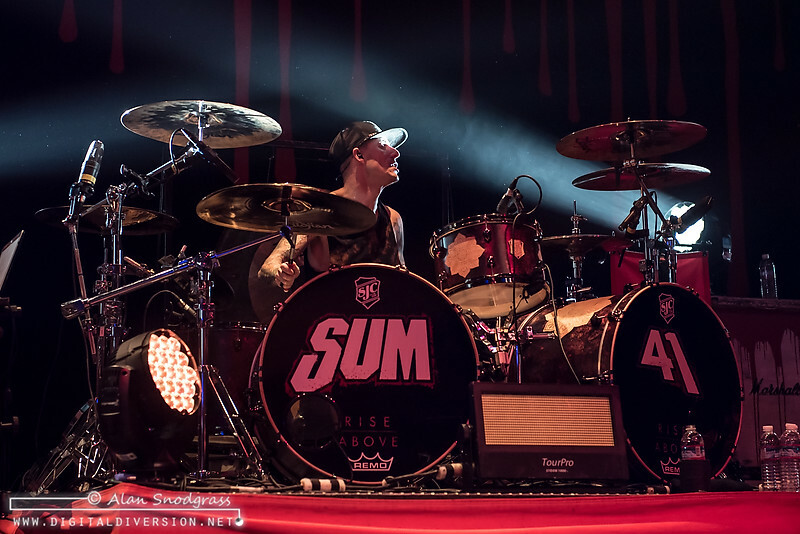 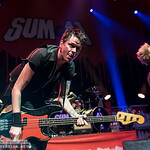 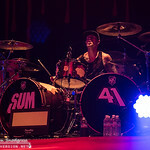 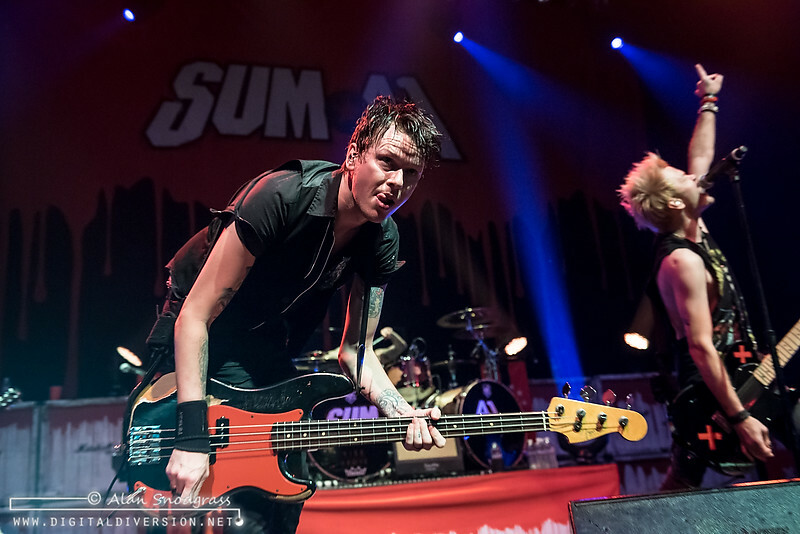 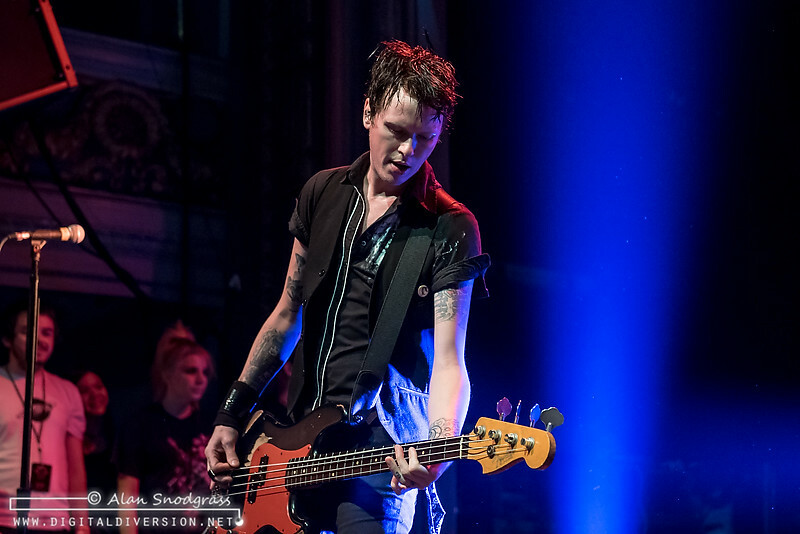 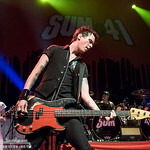 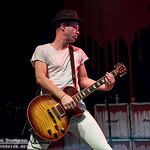 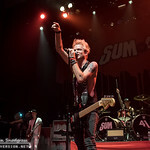 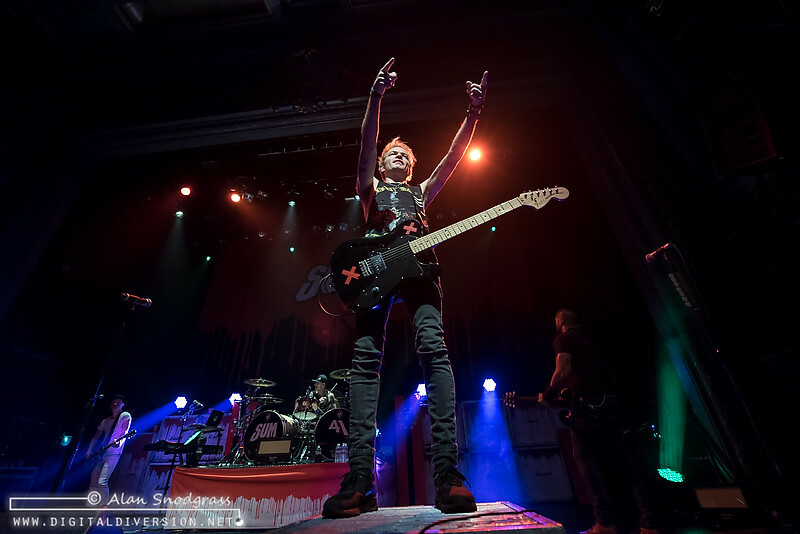 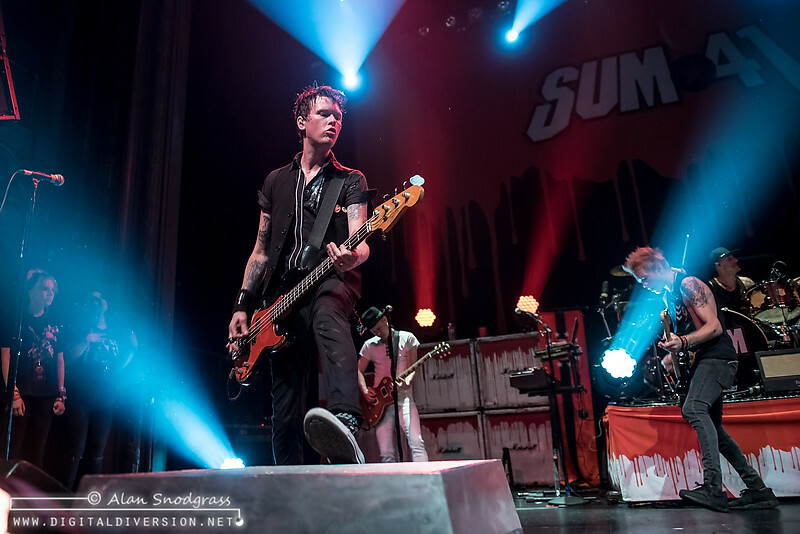 The North American leg of Sum 41’s “Don’t Call It a Sum-Back” tour ends November 6 with a sold out show in Los Angeles after which the band heads off to South America and then Europe.